The 2017 Professional Firefighters of Greater Victoria Calendar are now on sale. You can pick up a copy for $20 with funds supporting the Victoria Hospitals Foundation. 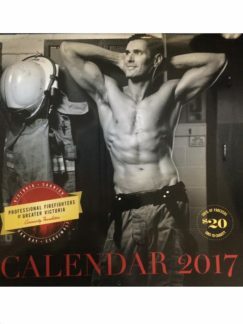 The calendars are currently available at Oak Bay Fire Hall (1703 Monterey Ave), Nicholas Randell (2180 Oak Bay Ave) and Oak Bay Municipal Hall (2167 Oak Bay Ave). They are also available at London Drugs & Thrifty Foods through out the CRD. Please show your support by purchasing a calendar and help change peoples lives.